All too often, in churches and groups within churches today, there is considerable twisting to get people involved and we find that 90% of the work is being done by a weary 10%. Why does this happen? Partially due to ignorance and partially due to avoidance of Spiritual gifts. First, we should discover what gift was given to us at our Spiritual birth, then we need to see where that gift fits into the functioning of the body. 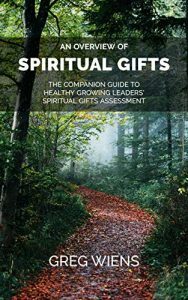 Use this tool to discover your top Spiritual gifts. It's FREE and literally been used by hundreds of churches over many years. Imagine you and some friends decide to put together a football team, but somehow your team ends up in the stadium playing a professional team. You would not fare too well and probably would be seriously hurt. This is because of your lack of equipment, training, conditioning, experience, and skills at playing the positions required. The same holds true for the church today. People become involved in a church without the proper understanding of the equipment; little training, conditioning, or basic skills; and practically no knowledge of positions on the playing field. It is essential to understand how we all can minister together toward our common goal. We must know how God can use us, i.e., the position we should play on the team. Christ’s strategy for reaching the World for Himself was through the Church. Read Ephesians 3:10-12 and Ephesians 4:1-7. He has called each of us to contribute! Everyone is expected to contribute in a unique way. But, how are you to contribute and in what unique way has God called you? After today, you will know what Spiritual Gift you have received and where your gift can be used in the Body of Christ. He has given you a special gift with which to serve him! Yet, there is confusion over what a spiritual gift is. Let’s begin by clearing up what isn’t a spiritual gift. Spiritual gifts should not be confused with Fruit of the Spirit, a talent or a calling. Each of which is defined next. Fruit of the Spirit can be defined as the result, product or consequence of an action. The action being: filling of the Holy Spirit. With the result, product or consequence being as told to us in Galatians 5:22, 23 — God’s Spirit makes us loving, happy, peaceful, patient, kind, good, faithful, gentle, and self-controlled. There is no law against behaving in any of these ways. When the Holy Spirit enters our lives, at the time we receive Jesus Christ as Lord and Savior, He brings these attributes with Him. We must mature (by walking in the Spirit) in order to give these areas of our life to the Holy Spirit. In Philippians 4:11-12, Paul states twice “I have learned patience, faithfulness, and self-control.” It should be mentioned that EVERY Christian should exhibit these qualities (fruits). There are different levels depending on your spiritual maturity. If not, you are not allowing Him to work through you or the Holy Spirit is not inside you. A talent is often mistaken for a Spiritual gift. These abilities are independent of our accepting Jesus Christ as our Lord and Savior. Yet, due to the inadequacy of the English language, they are often called gifts; however, only in the sense that your sight and hearing are also gifts. Webster defines talent as “any natural ability or power; natural endowment.” Music, art, organizing, and athletics are examples of talents which can be used by not only Christians but non-Christians as well. Biblical examples of talents are found in [Bible]1 Samuel 16:18, 23[/bible] — David’s talent was music (skillful at playing the harp). Judges 20:16 tells us the those from the tribe of Benjamin were expert marksmen; could split a hair with a sling. 2 Samuel 18:22, 23 — Ahimaaz was a better runner than most. Lastly,Exodus 28:3 and 31:3 — Describes people as skillful at making garments (sewing) for Aaron. Talents can also be used to accomplish God’s will, both inside and outside of the church or for personal gain. A calling is often associated with someone like a pastor or missionary who is being called to a life of servanthood, but throughout the Bible, a calling is mostly associated with all of us who are followers of Christ. Anyone of us who have a walk with Christ has been called to some sort of ministry and often thinks of a calling in all the wrong terms. A Biblical calling is really nothing more than a combination of a spiritual gift and a passion. the maturity of your spiritual walk with Christ. Now, let’s look at each component. The first component is your personality. Your personality very much influences your calling. Two people with the same gift of teaching may manifest the way they use their calling in different ways, depending on their personality. If one is very timid, shy, and uncomfortable in large groups, then their calling probably has more to do with teaching in the context of a small group or even one to one. Whereas a person who is very comfortable up front and enjoys being in the public eye could very well have a calling to teach in a larger context. The unique parts of your personality may influence the way you use your gift in your calling. Background is the second component of passion. A person’s background also significantly impacts the way their gift is manifested in a calling. For instance, often people who are raised in an alcoholic home have a real passion or burden to work with alcoholics in their own lifetime or those who were raised around alcoholics. The unique attributes of your background may influence the way you use your gift in your calling. In 2 Corinthians 1:3-5 we are told that God comforts us in situations so that we can comfort others when they go through similar situations. This passage reinforces the concept that God uses your background to prepare you to serve others through your calling. The third component of a passion is your life situation. Often, how we sense God is calling us is limited by certain situations in our life. If one is a mother of young children, it is very unlikely she is being called to a foreign mission field if her children and husband vehemently don’t feel called in the same way. The situation you find yourself in life in many ways either hinders or clarifies your calling. As our situations in life change as we grow older, often God’s call upon us to serve Him in ways changes also. The fourth and final component of a passion is your level of spiritual maturity in your walk with Christ. As one grows in their walk with Christ your sense of God’s calling on your life will change. As you grow closer and closer to Him sometimes He calls you to more significant levels of personal sacrifice in ways of serving Him. A Spiritual Gift is a special ability given to us at our Spiritual birth. We know the Holy Spirit comes to live inside of us (John 3:5 and Romans 8:9) when we accept Jesus Christ as our personal Lord and Savior and we are told we are given the manifestation of the Holy Spirit. We are given a spiritual gift at the point of spiritual birth which the Holy Spirit has specifically chosen for us. Why do we receive a spiritual gift? A great deal of confusion concerning spiritual gifts exists today, as it did in Paul’s day. Rather than the people ignoring spiritual gifts because of this problem, Paul tells the Church at Corinth he does not want them to be ignorant on the subject (1 Corinthians 12:1). He then dedicates the next three chapters to trying to clear up their confusion. 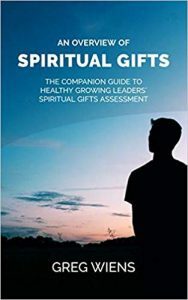 To learn more about Spiritual Gifts, download this FREE resource.